Crich Tramway Village is home to the National Tramway Museum in Derbyshire and is an authentic re-creation of an historic village. Interestingly a lot of the materials used in building the village were taken from their original counterparts. The gates and fence at the entrance of the tram depot, for example, were originally part of the (now demolished) Fruit and Vegetable Market in Birmingham’s Bull Ring. Centring round the main tram street, the village comprises a collection of shops and buildings like the sweet shop and café and the tram depot itself. A wander down this street will certainly take you back in time. You can get really stuck in at the Red Lion Pub (open during the school holidays and for special events) where they serve delicious local beers and snacks. And for a more sustaining beverage you can head upstairs to the Upper Deck restaurant for a tasty meal. Continuing the food theme, Rita’s Tea Rooms are the ideal place to take the kids for some lunch. Open throughout the day for hot drinks and cake, hot meals can be ordered between 12 and 2:30pm. After lunch, why not pay a visit to The Eagle Press where you can see brilliant examples of early printing and get to grips with the history of the printing press. Make sure you take note of the building the press is housed in as it is an original building from the quarry site. Opened in 2011, the George Stephenson Discovery and Learning Centre is an ideal place to learn about the history of the tram. It offers you an in depth insight into how increasing overcrowding of large urban areas led to the birth of the tram in Britain. And if that’s not enough the Exhibition Centre promises an interactive and fascinating trip from the conception of the tram, following it all the way through its development. 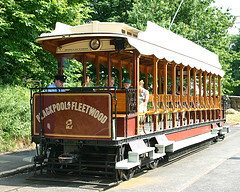 There is so much to see and do at Crich Tramway Village that you’ll never get bored. 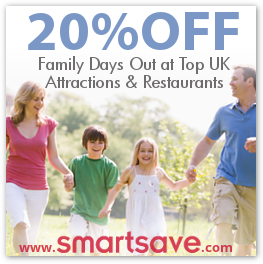 It’s a great way to spend a day or afternoon in scenic and historic surroundings. Opening Times: 6th November – 13th December – Tuesday, Wednesday and Thursday 10:30am – 3:30pm. 31st March-4th November 10am-5:30pm. 18th February-25th March weekends 10:30am-4:30pm.